Full Range of Curtains and Accessories (including Poles, Tracks, Tiebacks and Cushion Covers ) Material also available to order separately. We are a small independent Made to Measure & Bespoke window Blinds and Curtains Company based in Rotherham, South Yorkshire with over 5 years experience in the domestic & commercial market. Offering Experience, Quality & Choice FREE in home Quotation, Consultation & Measuring Service All Blinds are manufactured in the UK and are fitted with child safety devices as standard.. We offer a wide range of products, including: •Pleated blinds •Day & Night / Duplex Blinds •Roller blinds •Wooden, PVC & Metal Venetian •Roman Blinds •Vertical •Velux blinds •Full Range of Curtains and Accessories (including Poles, Tracks, Tiebacks and Cushion Covers ) Material also available to order separately. 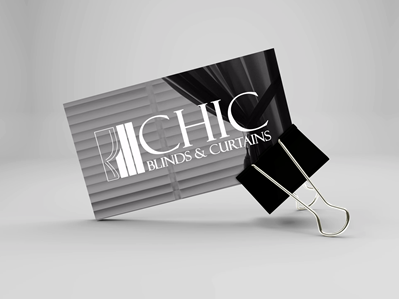 Copyright © 2019 CHIC Blinds & Curtains, Blind Fitter In Rotherham, South Yorkshire | Web Design by AJR Designs.